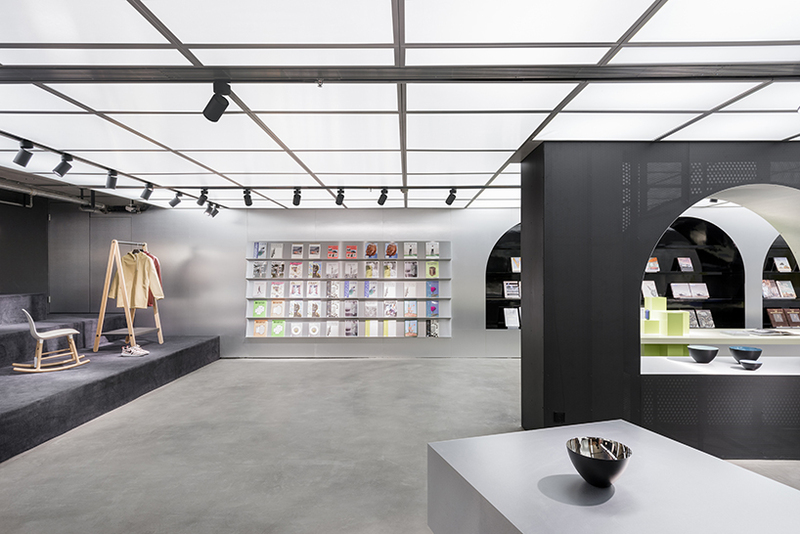 alberto caiola studio is an award-winning firm specialized in interior, exhibition and product design. founded in 2014 as a small office in shanghai, china, alberto caiola maintains a small, dedicated, team while working with an international group of collaborators. the studio is currently developing projects in asia. 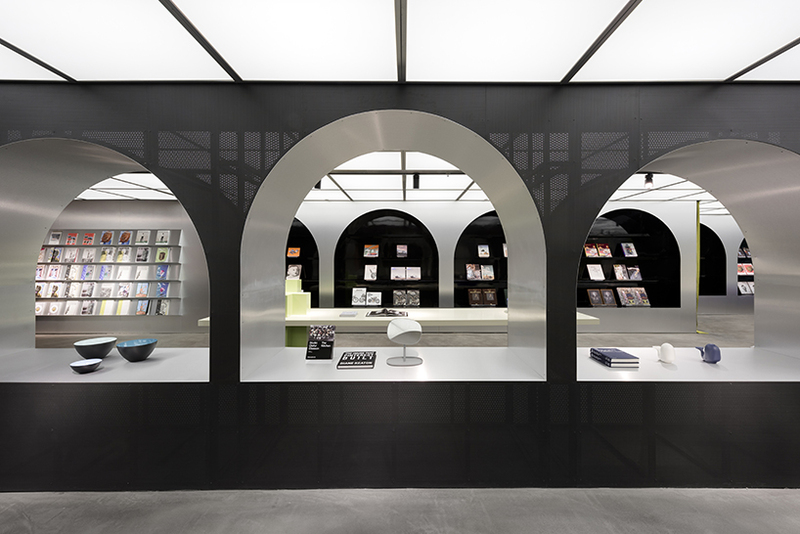 alberto caiola’s harbook in hangzhou, china, is illustrative of a new wave of bookshops incorporating lifestyle elements to appeal to a new generation of urbanites. 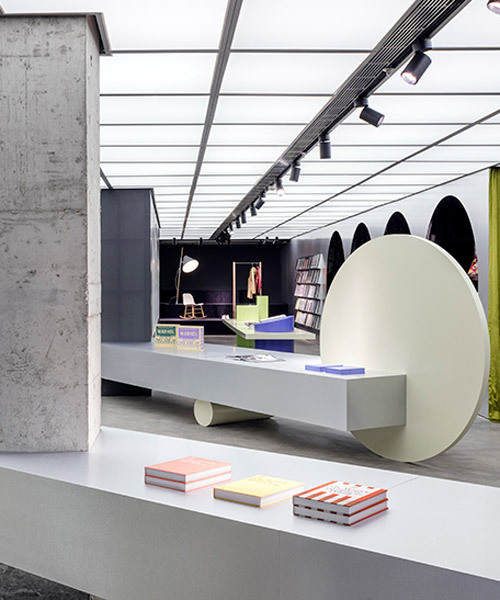 comprising a bookstore, café, and a showroom of contemporary scandinavian furniture by normann copenhagen, it blends aspiration with tradition. for centuries, the city — and its legendary west lake in particular — has inspired writers, philosophers, and poets. harbook continues this legacy, expanding the city’s literary culture to include nods to european traditions, yet with a progressive contemporary approach. intersecting the otherwise open-plan 600 square meters space is a series of arches, evocative of classical italian porticos. 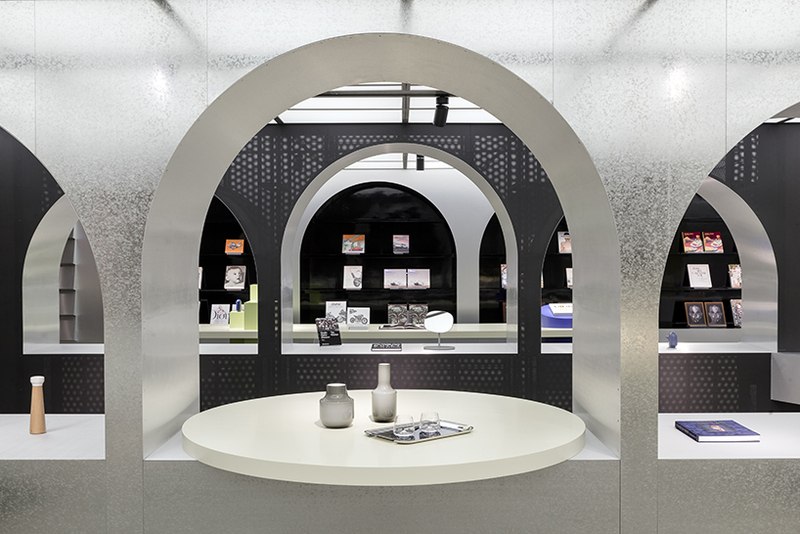 thematically connecting harbook’s urban elements of socializing, cultural exchange, shopping, and dining, they create a quite immersive dialogue between eras and cultures, providing a sensual journey through the space. 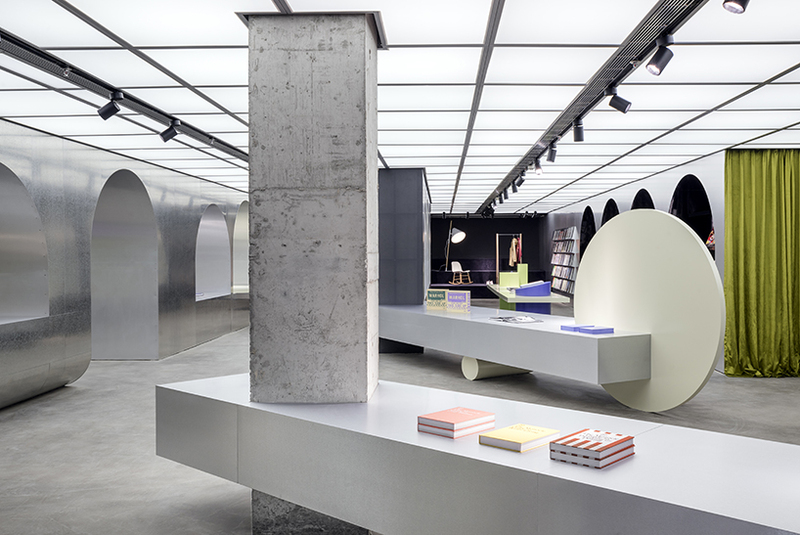 to reinforce the store’s imaginary cityscape theme, alberto caiola has punctuated the space with stand-alone displays which look like abstract sculptures. 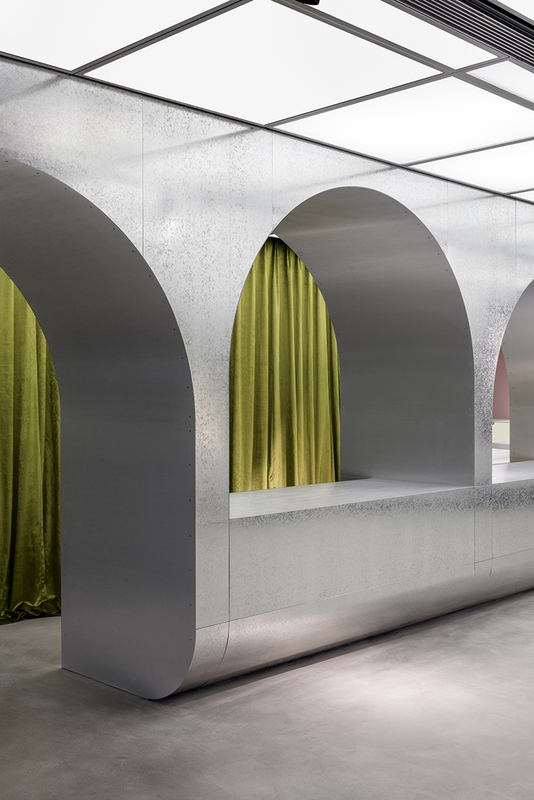 their color palette, as well as the surprising mix of materials, lend a postmodern edge to offset the store’s more classical elements. 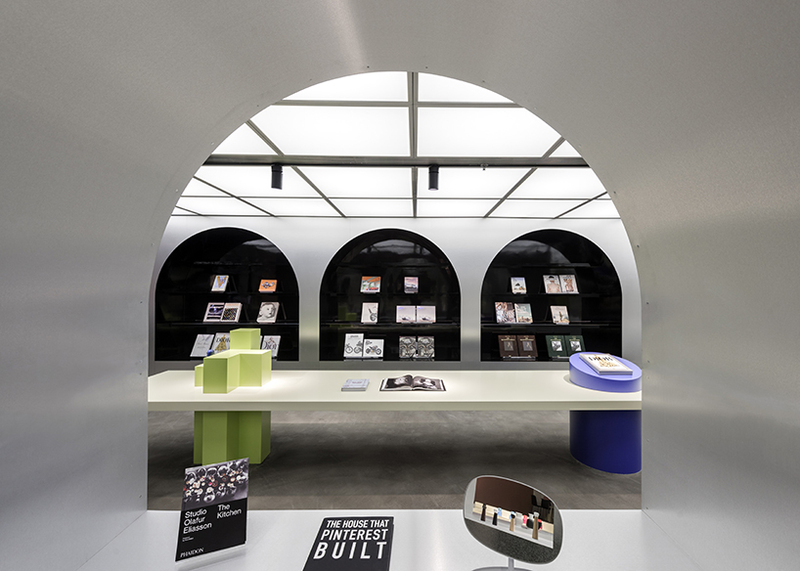 as a multipurpose space, harbook has been designed to host a range of activities — with that in mind, the studio features tiered levels for the purpose of furniture display. adjacent stairs draw the eye to an attractive raised café area, envisaged as a space for meeting with friends, solitary working, or simply reading. 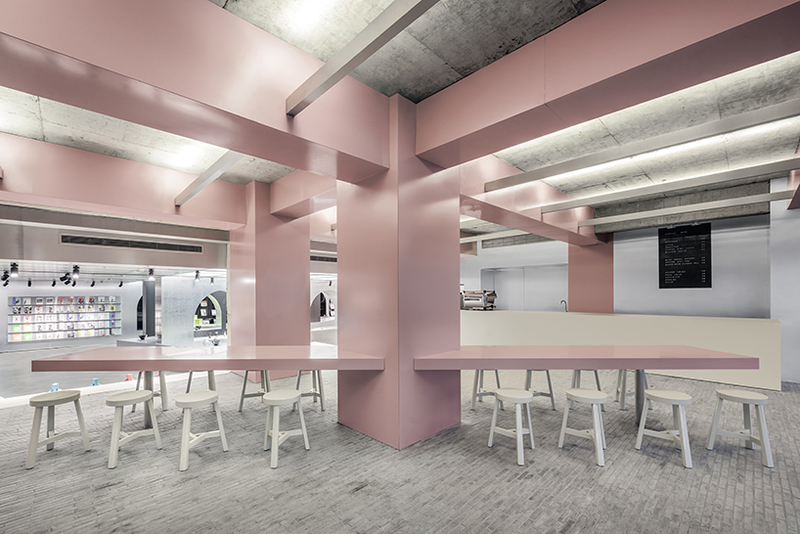 overlooking west lake, it provides a dream-like, playful quality to the overall design — the space is wrapped in dusky pink, rendered edgy by way of metallic panels. traditional, locally sourced chinese floor bricks anchor this otherwise internationally minded lifestyle destination to its east china locale. 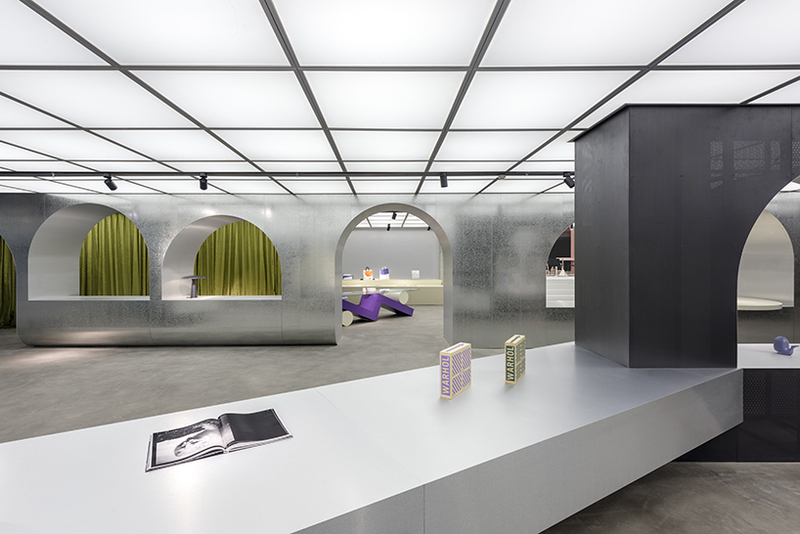 above, an LED light installation serves dual purposes — it makes for a striking centerpiece and acts as a metaphor for the enlightenment attained through reading. at a point in time when, for many, literature is accessed online, harbook shines a light on the timeless luxury of books.